down the well camera troubleshooting in the Southern Maryland area of Charles County, St Marys County, Calvert County and Prince Georges County areas. Family Owned & Operated for 60 years! All materials & labor on new wells guaranteed for a full five years! Franks Well Drilling, Inc. was founded in 1953 and incorporated in 1967. Our office is located in La Plata in Charles County Maryland. The company is now family owned and operated by Robert B. Frank, Michael G. Frank, Kenneth M. Frank, and Kevin M. Frank, Sr. Our company has thrived on its reputation. 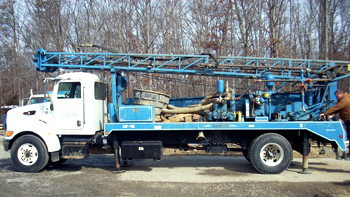 Why Choose Us to Drill your Residential, Commercial or Agricultural Well? Licensed in MD and VA, we are a National Groundwater Association Certified Well Driller and Pump Installer. A lot of our competitors are not certified by the NGWA because of the time involved to pass the tests of the continuing educational requirements necessary to stay certified. We provide you with the newest and latest advancements in the industry. For a Service Request, Click Here. To schedule a FREE New Water Well Estimate, phone us at 301-934-4240.